My granddaughter spits up a lot and might be starting to teethe. She goes through a lot of bibs. Most bibs are too small, too thin, and the plastic backing rips and tears after multiple trips through the washing machine and dryer. Fastening a bib at the nape of the neck requires a third hand. Velcro is nice, but the hook part sticks to everything in the wash if the dirty bib isn’t closed before it hits the washer. Cheap/fake hook and loop closures lose their “stick” pretty quick. 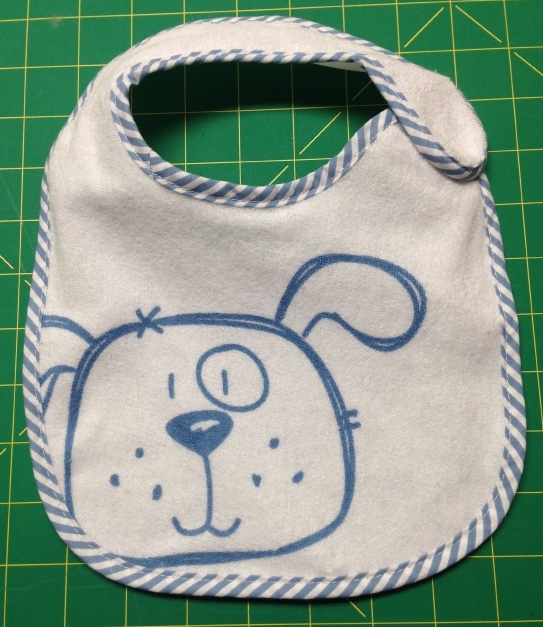 A good bib is large, absorbent, waterproof, adjustable, easy to put on and take off, and easy to wash. Good luck finding one that meets all the criteria. 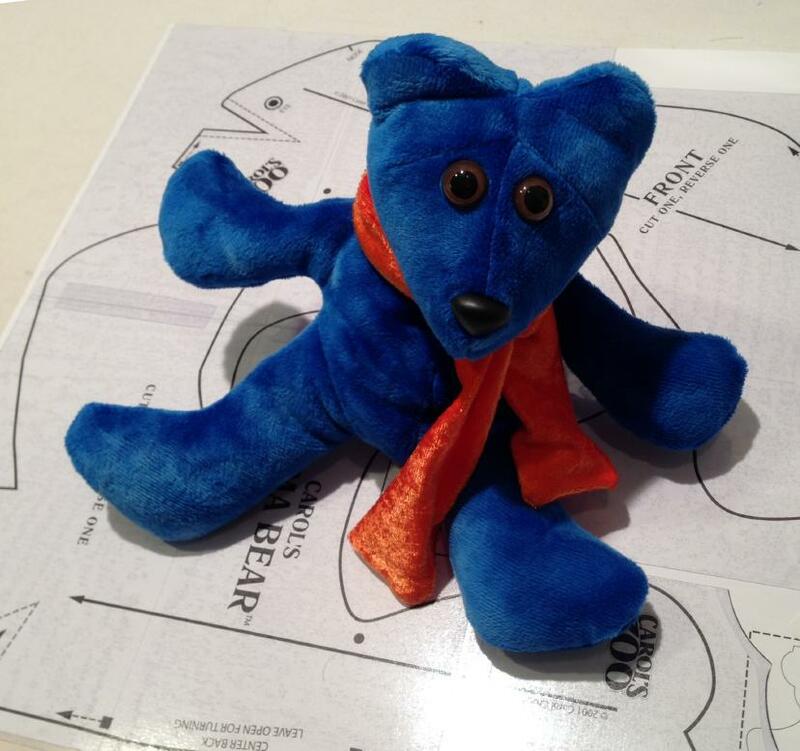 It’s a good thing we can sew! 1. 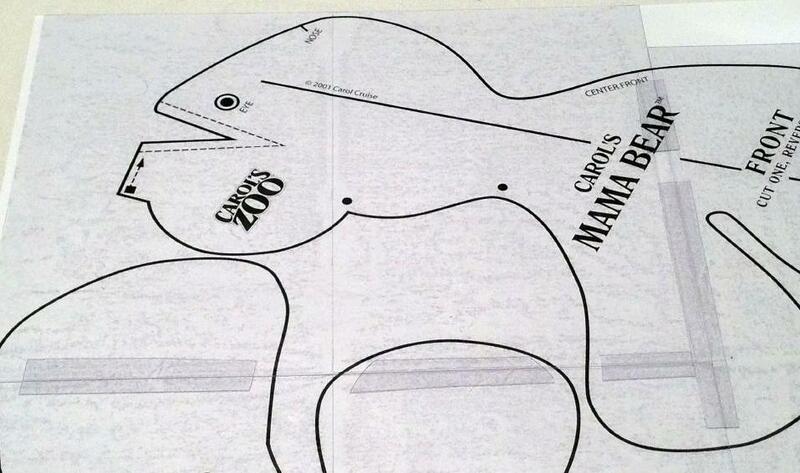 Find a bib with a good shape. I found this one at Baby’s R Us. Great shape, good size, side closure, crappy hook & loop, too thin, and the plastic on the back cracked and tore. 2. 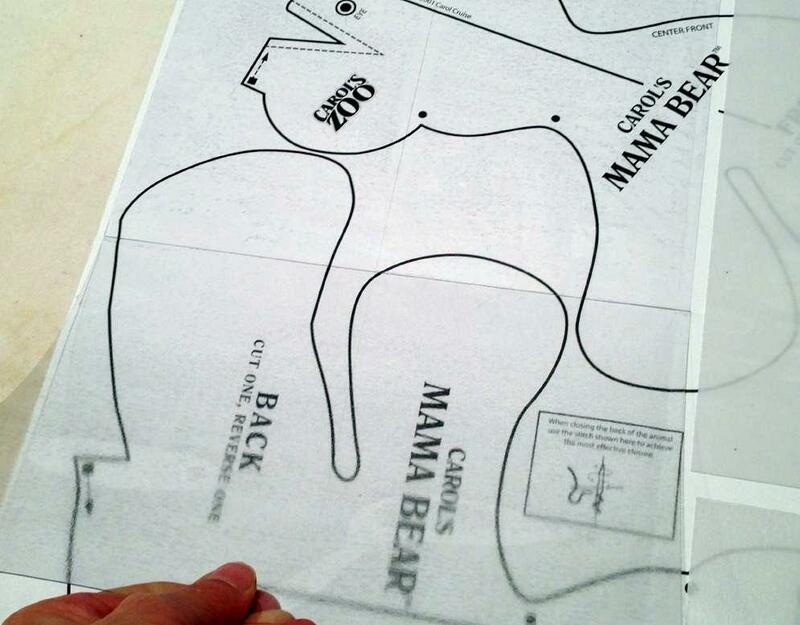 Trace or photocopy the bib to get the pattern. 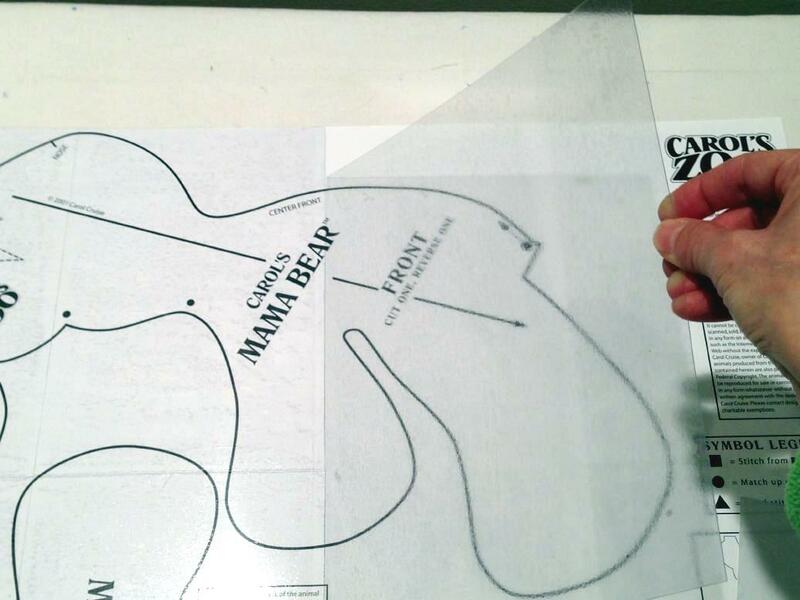 I used the copy button on my printer and then copied the bib in two sections. Then I taped them together. 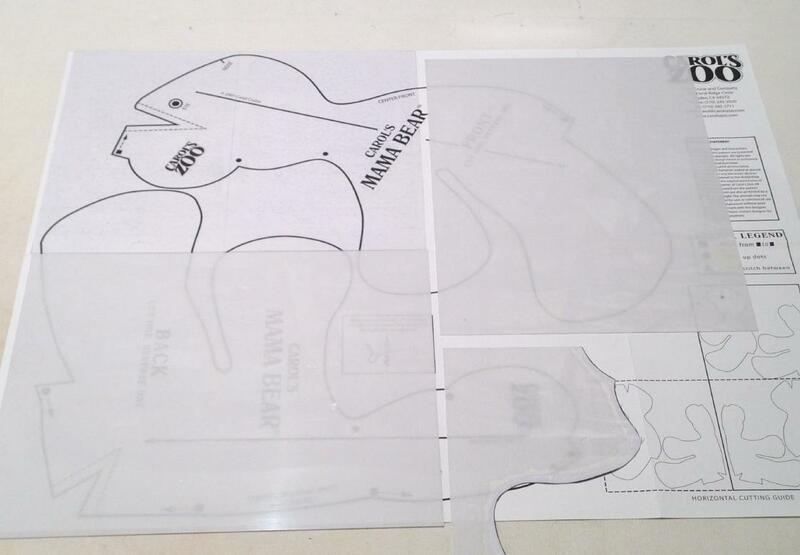 Two sheets of Sticky Template Plastic covered the pattern with some to spare. 3. 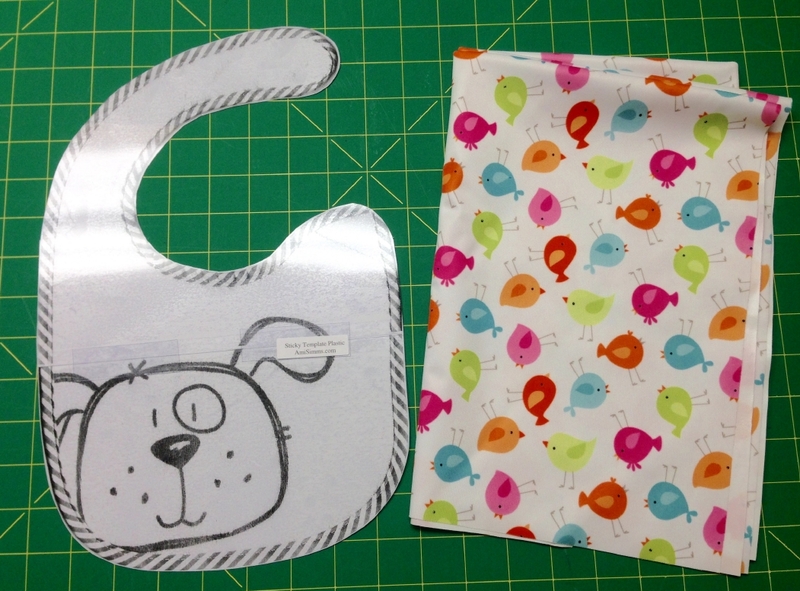 Cut out the template with a sturdy pair of paper scissors and purchase a chunk of PUL fabric. PUL stands for Polyurethane Laminate. It will make your bibs waterproof. See more. 4. 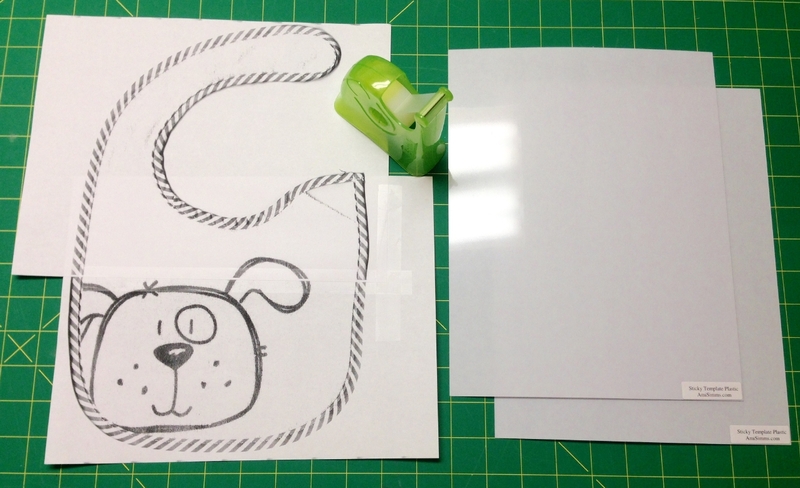 Place the plastic template on the wrong side of the PUL fabric and trace with a ball point pen. Easy peasy. 5. 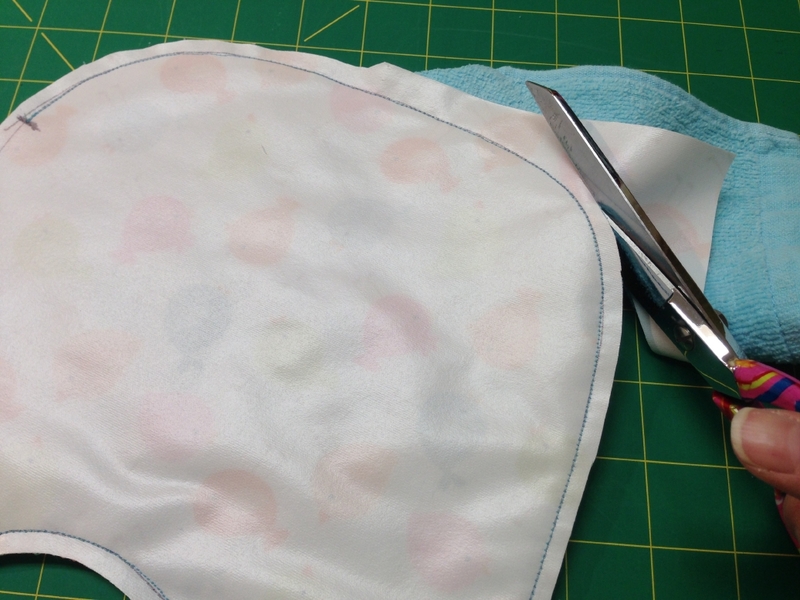 Place the PUL fabric on top of bib front, right sides together. 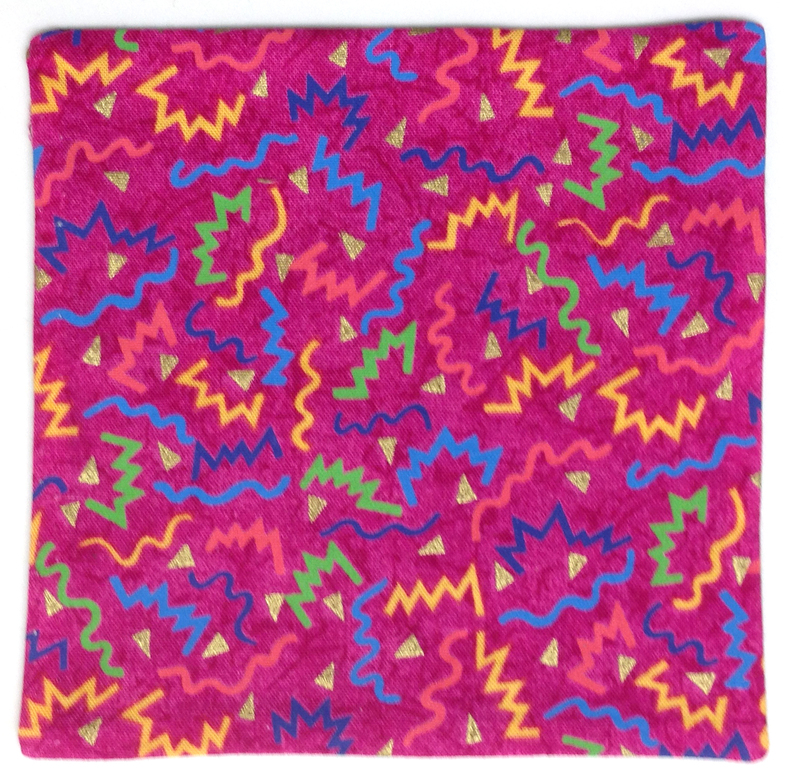 You can purchase terrycloth by the yard for the bib front or up-cycle hand and bath towels. The higher quality the terrycloth, the more absorbent the bib. Pin all the way around. 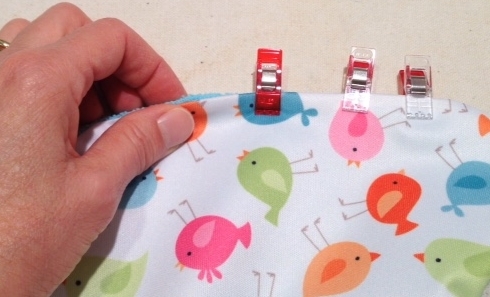 (Don’t worry about pin wholes in the PUL fabric. A hot dryer will close them.) 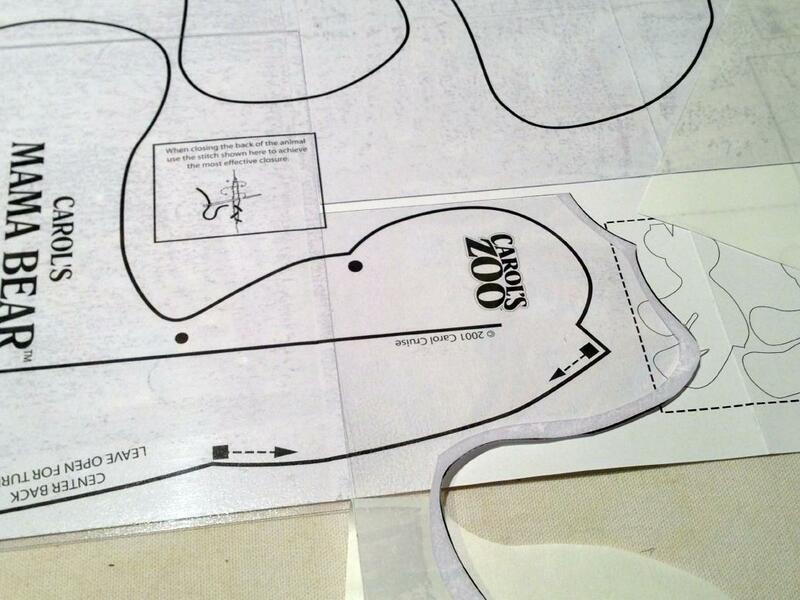 Don’t forget to mark an opening through which you will turn the bib right-side out. 6. 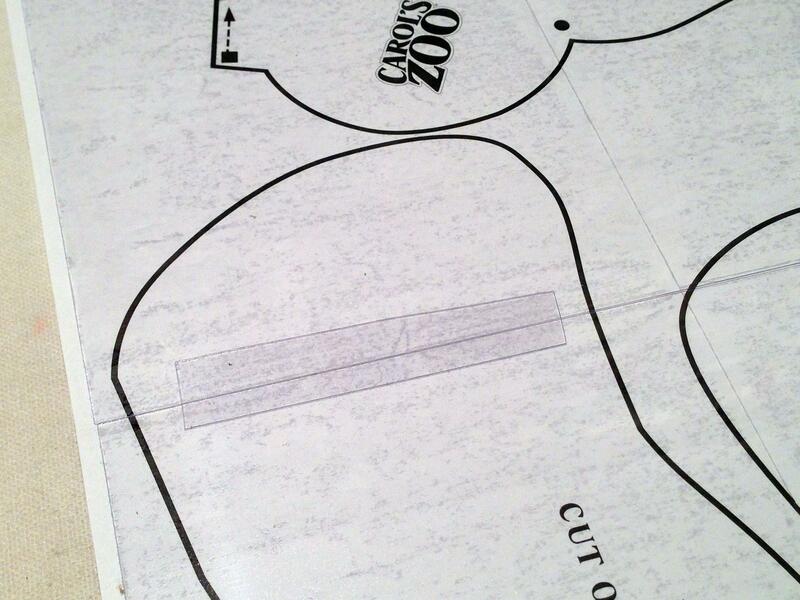 Sew on the marked line, leaving an opening. I backstitch several times at the beginning and end so the stitches won’t come out when I turn the bib right-side out. 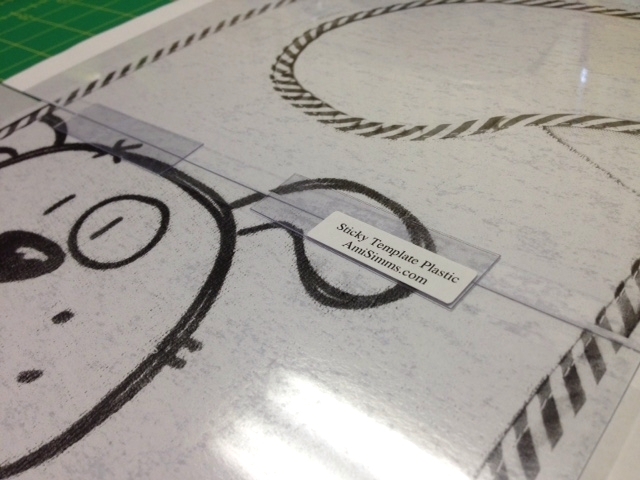 Cut 1/4″ from the stitching. Clip inside curves. 7. Turn the bib right-side out and press. Turn under the opening and clip. Baste opening closed. 8. 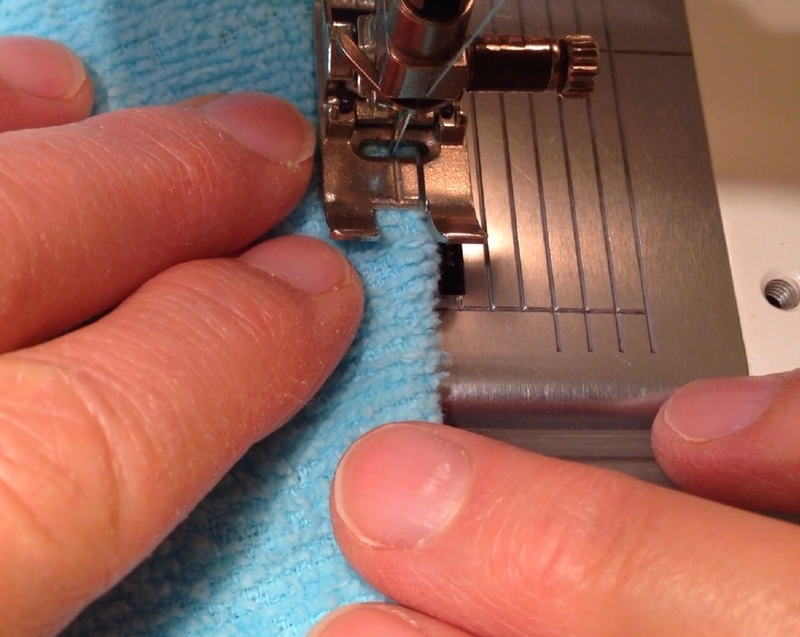 Topstitch 1/8″ from edge using matching thread. 9. 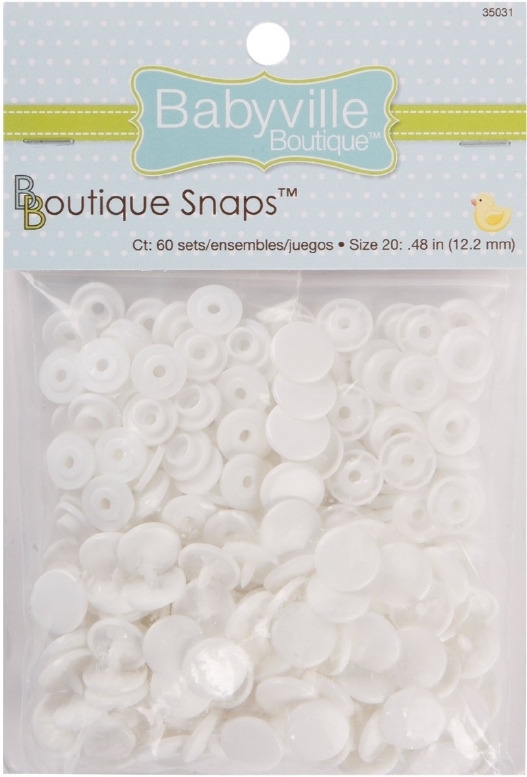 Attach snaps with Babyville Boutique Snap Pliers and snaps. I put two snaps on the neck strap so that it could be adjustable. Embellish with iron-on or sew-on appliques if desired. It’s me, Scooter. I did a bad thing. I wanted to go out last night, you know, to be OUTSIDE. There are things outside that I like. One of them was furry and soft with a long tail. Mom couldn’t see it, but she didn’t know where to look either. I was barking at it through the “slide-y” door. Mom wanted to go to bed and that means I had to go out one last time. She was afraid I’d chase the thing out there so she hooked me up to the 50-foot leash. We do that sometimes. The other end of the leash is hooked to a big eye screw in the part of the deck that isn’t attached to the rest of the deck. 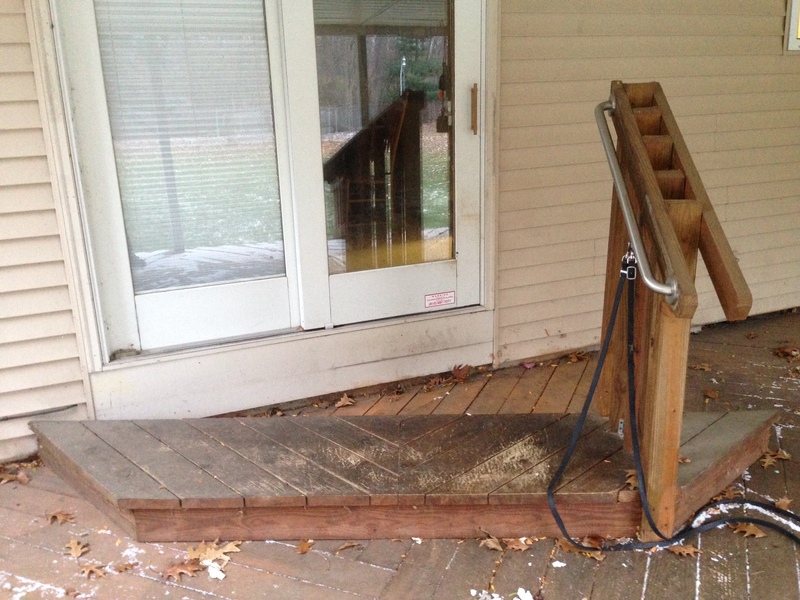 It is just a platform to step on because the deck is lower than the house. There’s a handrail on it. Dad is the only one who can move it because it is very heavy. As soon as Mom hooked the leash to my collar, I did the bad thing. I took off running. She tried to hold the leash to slow me down, but I was running real fast. She let go because the leash was going through her hands so fast it was starting to spark. Fifty feet is a long leash. Mom yelled the whole length of the leash at me to STOP! But I wanted to visit with the furry soft thing that has a long tail. And it was running away from me and that made me want to run faster. Then I came to the end of my leash. Mom was still standing after I dragged the deck. But the furry soft thing with the long tail started to run again. So I ran again too. Mom wasn’t expecting to surf the deck a second time so she kind of fell backwards. Luckily, “Old Flamingo Legs” caught herself in time and was still vertical when I remembered, again, that I was still attached to the part of the deck that isn’t attached to the rest of the deck. Her left foot stepped back and then down. Way down. To the part of the deck that didn’t move. Now her left leg doesn’t move like it used to. Most importantly I am fine. 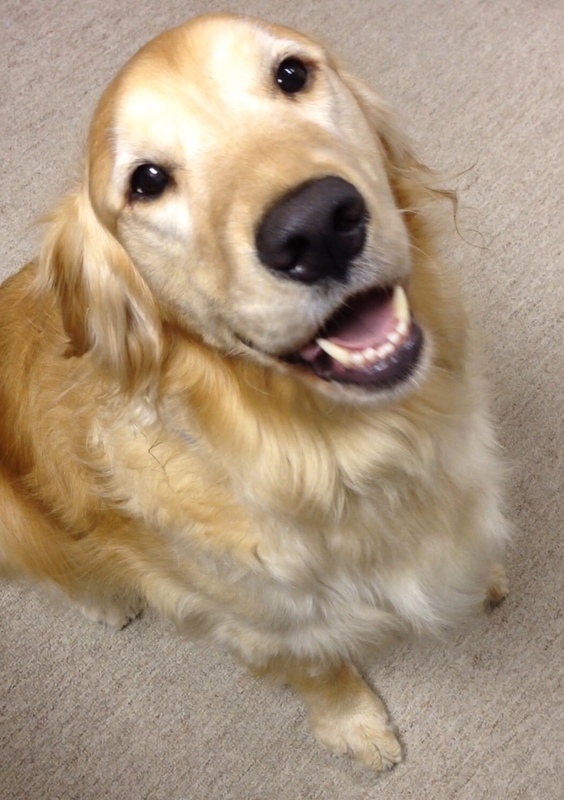 I can still bark as loud as ever. Neither of my eyes popped out of my head. My neck isn’t kinked. There are no black and blue marks between my fur hairs (Mom checked) and I seem to be as perfect as I was before. I am hoping my friend is in the back yard again tonight! As a quilter, I think it’s appropriate that I’m “on pins and needles,” don’t you? At this moment, we are Due Date Minus THREE Days. We’re having a baby! 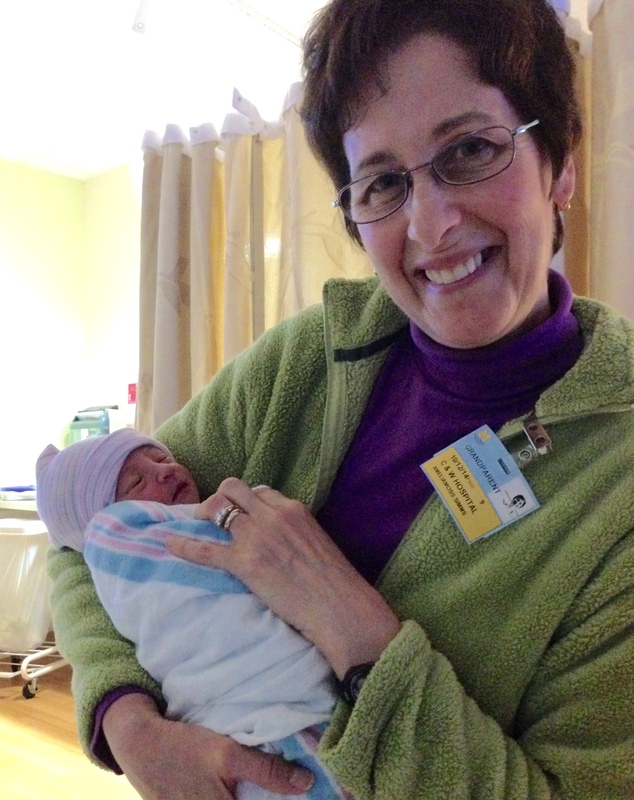 No idea if it’s a boy or a girl, we’re just praying for healthy with the full complement of fingers and toes. Sweet anticipation. Jennie and Craig, you’re going to be a wonderful parents. I can’t stop smiling. 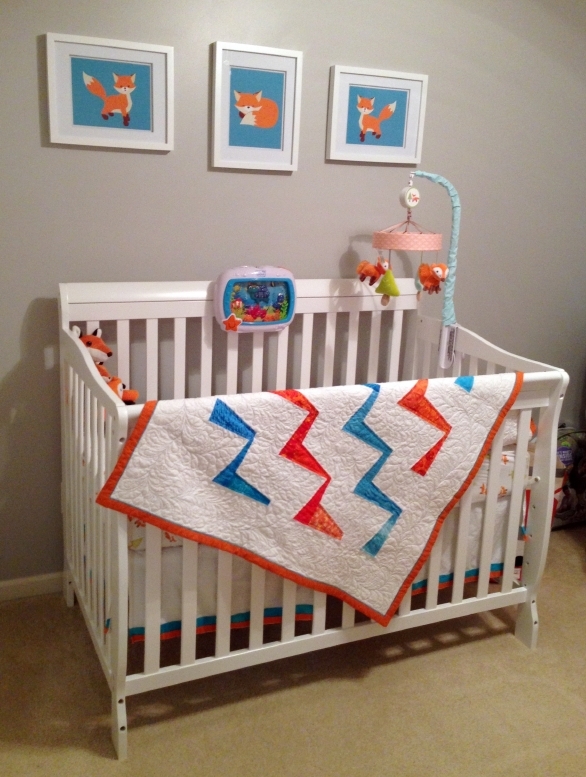 And for the record, the quilt was finished before the baby arrived—with matching crib skirt, assorted crib sheets, puddle pads, and receiving blankets. I did have help. 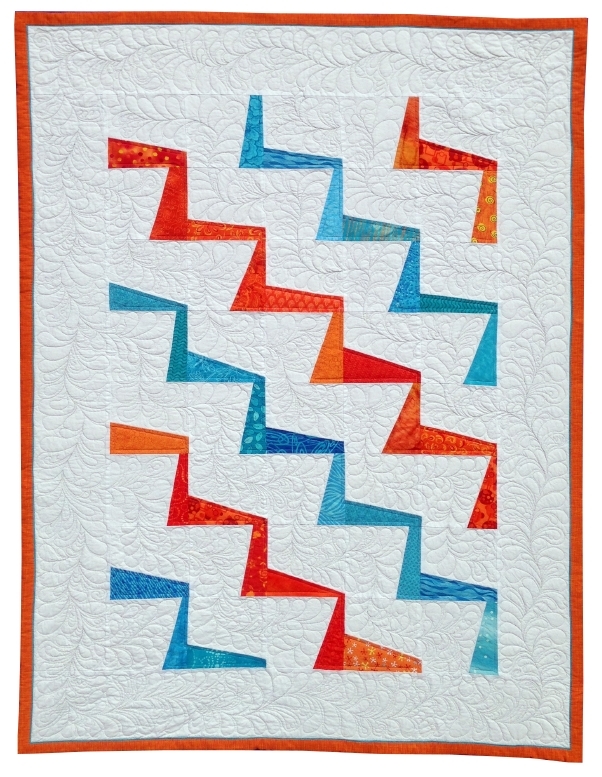 Inspiration for the baby’s first quilt came from a tutorial by Jennifer Grigoryev. I used 6″ white squares, so the scale is a little larger. Thanks for all the wonderful suggestions on what to make for the baby. I’ll share what I learned soon. And if you don’t hear the shrieks of delight when the baby is born, I’ll blog and put it in my newsletter for sure. 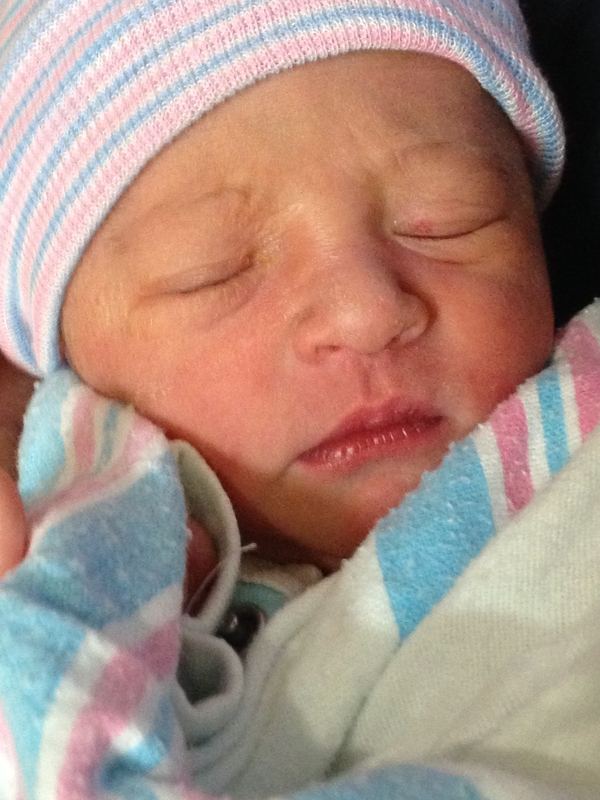 Zoey Bea was born on October 12, 2014. She weighed 5 pounds, 11 ounces. She is just a smidge over half a yard long–my little Fat Quarter. I love the ceramic Bohin marking pencils. They make a thin, perpetually sharp line that I can see. 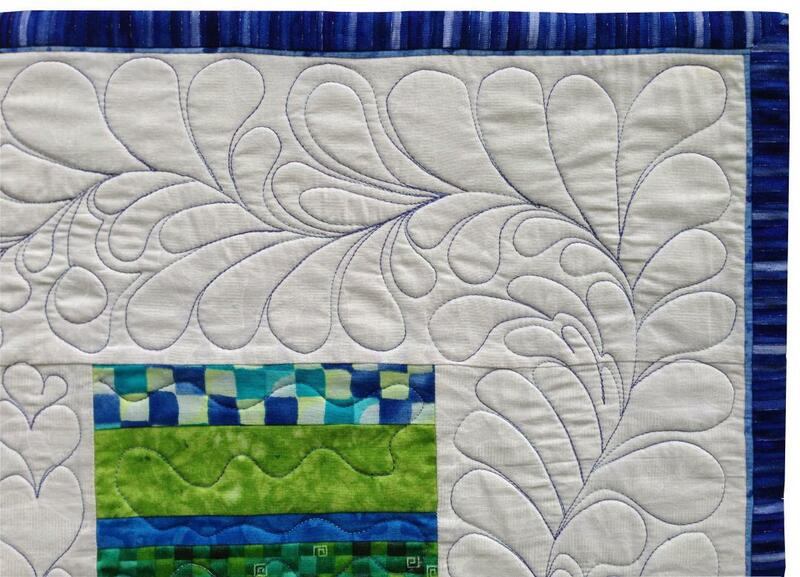 The line stays on just long enough to quilt or applique through. And, it totally comes out with a light wash or by erasing. With Bohin refills (6 of each color per pack) I have my choice of white, gray, pink, green, and yellow, depending on the fabric I’m marking. I’m including a BIC mechanical pencil with each color refill I sell on my web page until I run out. Push the eraser on top of the pencil several times to advance the lead that comes inside the pencil. When you’ve got enough poking out the tip to grab onto, about 1/2″, push the eraser down and hold it down. Yank out the lead. Gently twist off the eraser and dump the other two leads out. Then insert the Bohin ceramic leads from the container. The pencil will hold all 6. Replace the eraser. 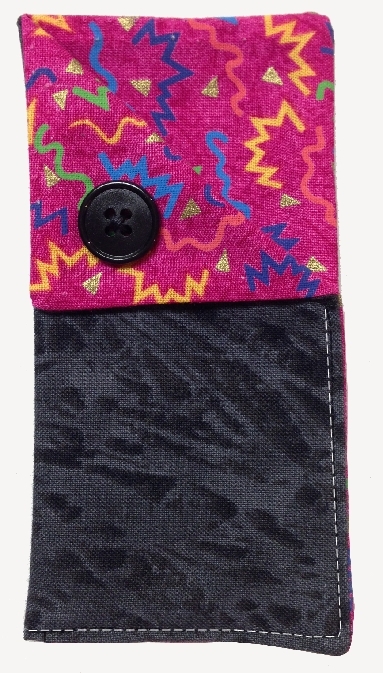 Find two coordinating fabrics, one for the outside of the Pencil Pocket, and one for the inside. (I picked a funky black and a wild pink.) Layer them right sides together. Cut both fabrics at the same time into two 5″ x 5″ squares. They’ll be ready to sew in the next step. 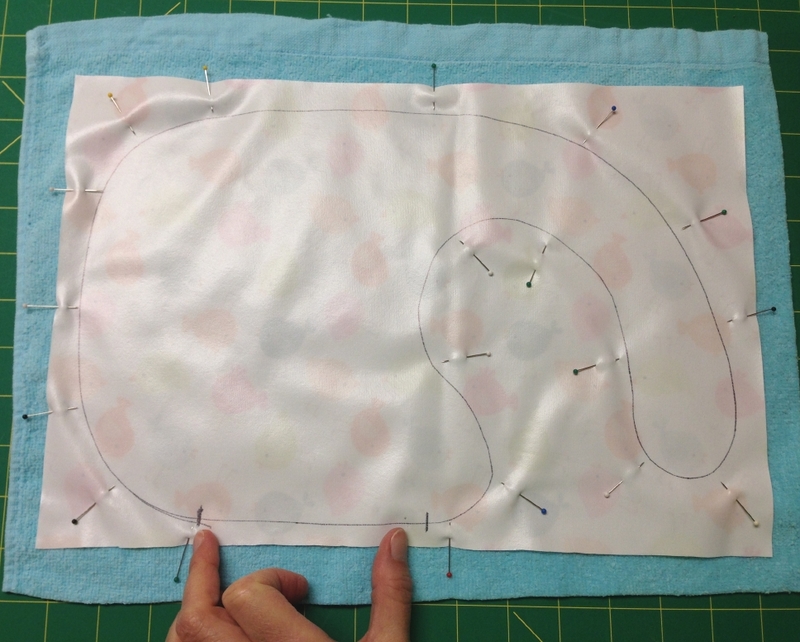 With right sides together and raw edges even (you just cut them like that so they should be perfect) stitch 1/4″ from the raw edges with thread that matches either one fabric or the other. Leave a 3″ opening so that you can turn them right side out. (Backstitch at the beginning and ending to that the stitches won’t come out in the next step. Trim all four corners to reduce bulk. You’ll be cutting off a teeny tiny triangle from each corner. Then, reach into the opening and turn the two stitched squares right sides out. Push out the corners with your finger. If there is still fabric stuck in there, take the BIC mechanical pencil, push the eraser down, hold it down, and push whatever lead might be sticking out at the other end up and into the barrel of the pencil. 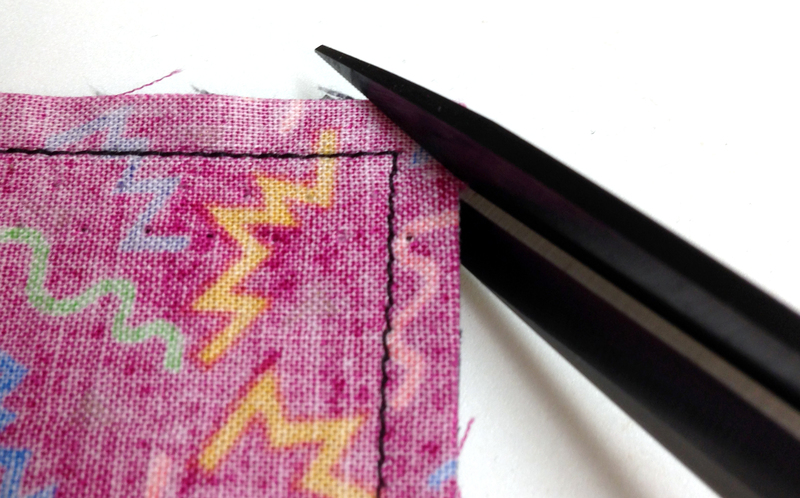 Use the pointy end of the pencil to gently coerce the fabric out. Be careful not to poke the pencil through the fabric. Make sure the sides are fully turned as well. If they’re not popping out, stick a straight pin in the seam and carefully lift them out. 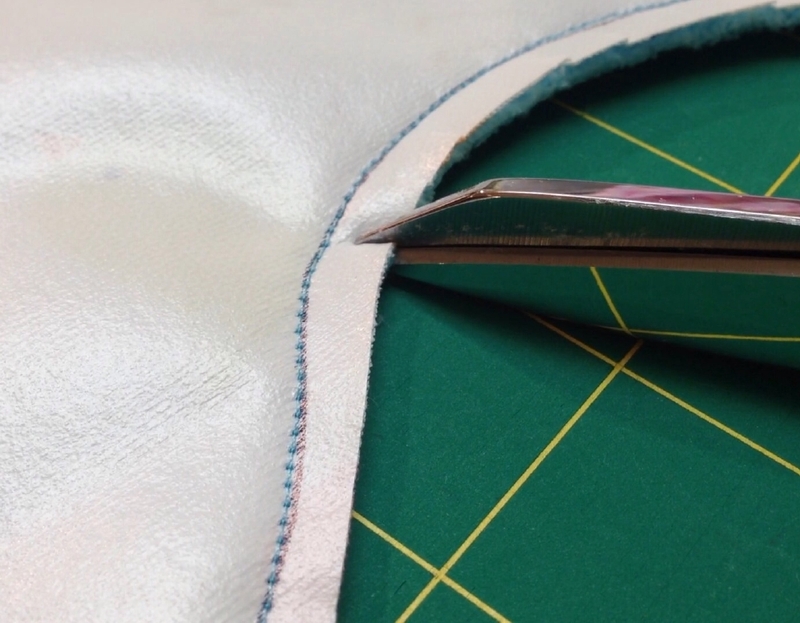 Once the corners and sides are fully turned and straight, turn under the seam allowances at the opening. Press. 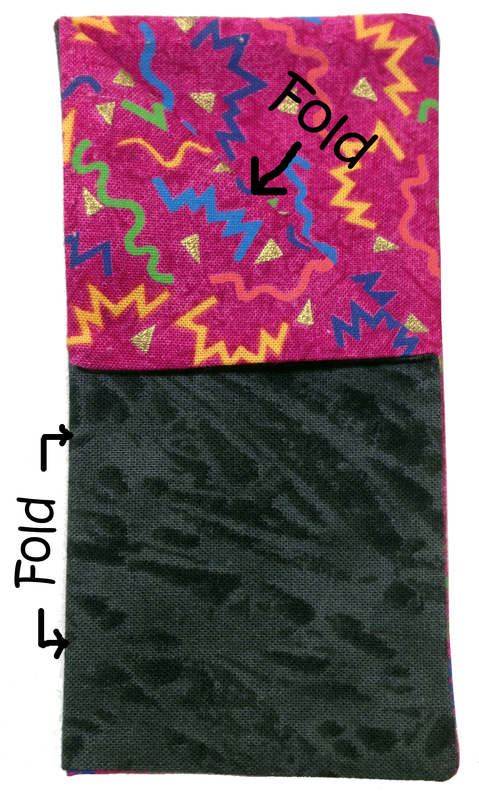 With the opening at the bottom (you’re right, it has not been sewn shut yet) fold the Pencil Pocket in half vertically. Then fold over the upper right corner diagonally until it meets the vertical fold as shown. Press. Refold the long vertical fold. Line up the edges along the bottom and right side. With thread that matches the “outside” fabric of the Pencil Pocket, stitch close to the edges, backstitching to secure ends, as shown. The stitching will complete the pocket as it closes the opening. 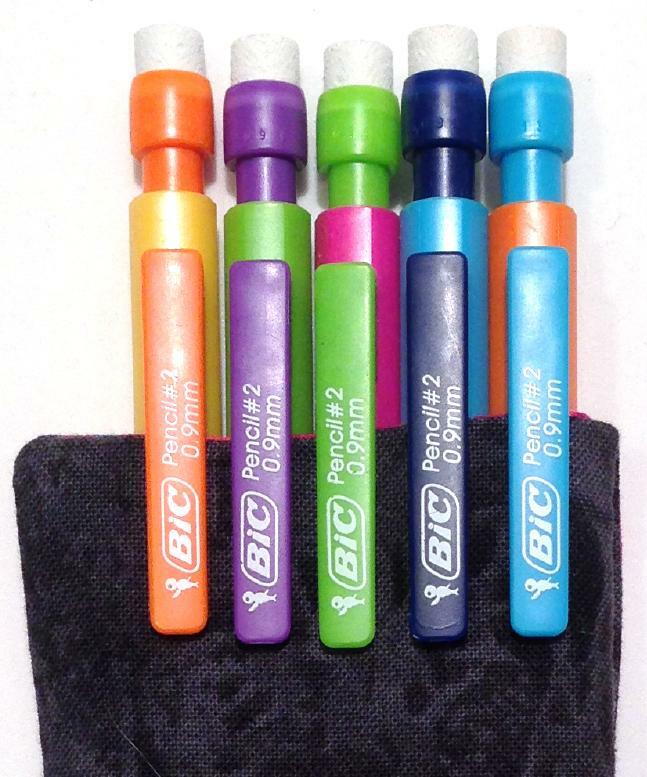 Clip the BIC mechanical pencils to the back of the Pencil Pocket so they won’t fall out. Now that you know how to make a Pencil Pocket, order your Bohin refills here. They come with the colorful mechanical pencils like you see here. Th e tradition continues, but this time with a twist. I’ve shared that I make quilts for nieces and nephews. Now we’re on the second generation, quilt #2. This is Lee’s Quilt and I added something a little different. I “signed it” with a QR code. A what?! A QR code, or Quick Response code, is a type of bar code. 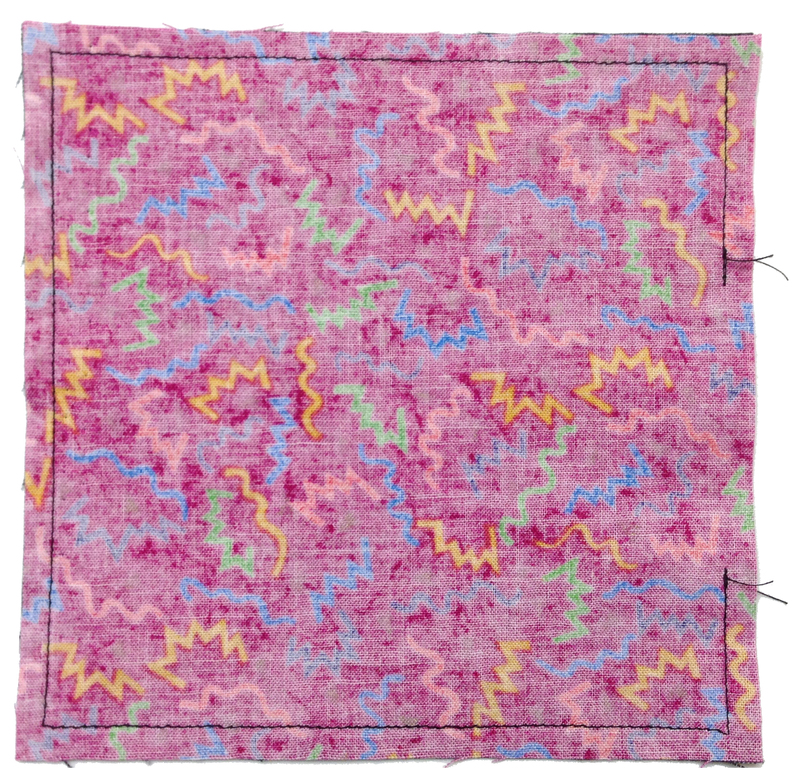 It is read by a machine and contains information about the object to which it is attached, like this quilt. W-H-A-T?! 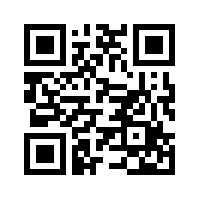 This is a QR code for AmiSimms.com. Great. Now what? Well, if you had a smart phone, you would download a free app like QR Reader and you would hold it up to the computer monitor, line up this little black and white code through your smart phone camera, wait for the little beep, and you would magically be taken to my website. Wait! There’s more! You can purchase a QR code professionally printed onto a fabric label. They are called Story Patches and they come in “sew-on” or “iron-on.” Incidentally, while I appliqued this onto the quilt after the top was finished, I could just as easily have pieced it in. And, it would have lived just as happily on the back of the quilt as on the front of the quilt. Watch the video to see how the QR code works and to see close-ups of the quilt. The hardest part is deciding what you want the QR code to do. In addition to linking it to a video message, you could link it to a photograph, an audio message, or a written document. Best of all, you can change the video, photo, audio message or document any time you want. The QR code can be “read” by scanning, or by entering the letter code into a web site. There’s no expiration on the QR code either. They’re also washable. 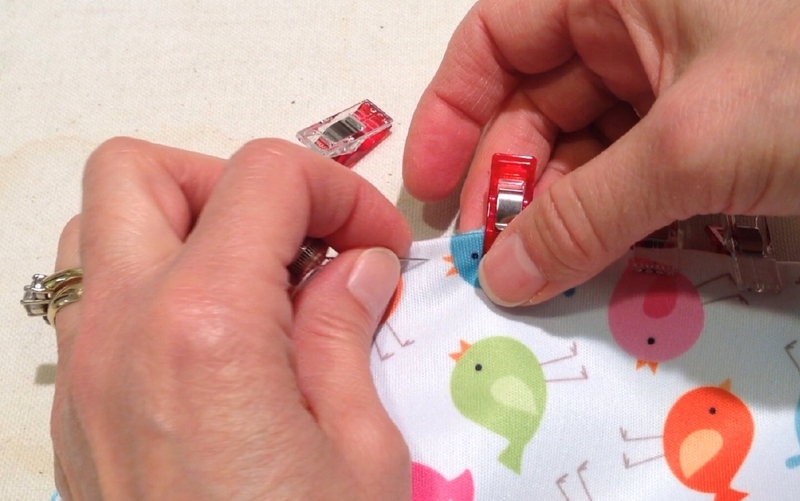 If you’d like to try a Story Patch (QR code) on your next quilt, I carry both the sew-on and the iron-on in my online store . Click here. If I’m coming to your quilt guild I’ll be happy to save you shipping and hand deliver these and/or any other lightweight items to you when I come. Just give me some advance notice. My quilting career began almost 40 years ago in an Amish home in northern Indiana. I thought the women gathered around the quilting frame in the living room were sewing on a trampoline. I was clueless. They asked me if I wanted to quilt too. Of course I said yes. I wanted them to like me. I figured if they liked me they would invite me to come live with them and then I could learn about Amish culture by participating in it. And then I could write a really long paper with lots of footnotes and graduate from college. They asked if I wanted a thimble. I declined. They giggled. I bled. Not only did I jab my finger on the underside of the quilt with the point of the needle, but I rammed the eye of the needle into the top finger too—the one that should have been wearing the thimble. I made huge ugly stitches but I didn’t give up. 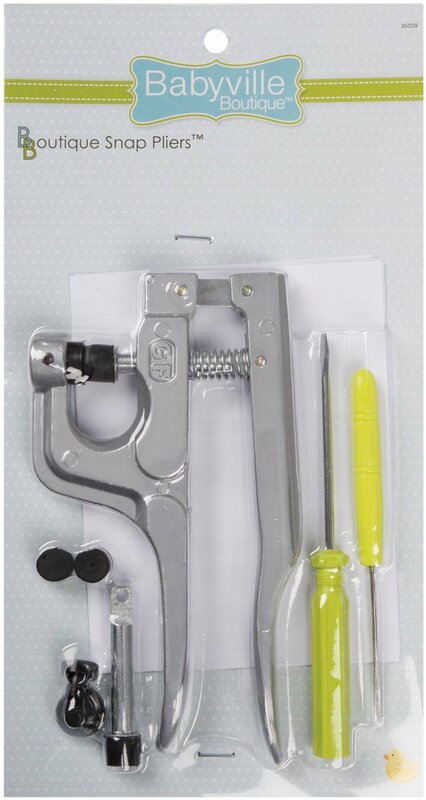 They assumed I could sew. I didn’t tell them that my sewing was limited to the apron I butchered in Home Eck, and the Superman outfit (complete with cape and tail cozy) that I had sewed for our cat. Years later, my Amish friend told me they ripped out all my stitches after I left. I don’t know what they did about the blood. As luck would have it, my Amish friend invited me home for dinner after the quilting. She probably thought if I was as good a cook as I was a quilter I would starve to death without intervention. That day changed my life. There’s just no other way to put it. I began visiting the family, staying a few days at a time, and have been blessed with a friendship that not only enriched my life, but nurtured a passion for quilting. I did get better at quilting. It would have been hard to get any worse. I never got very good at milking or driving the buggy. 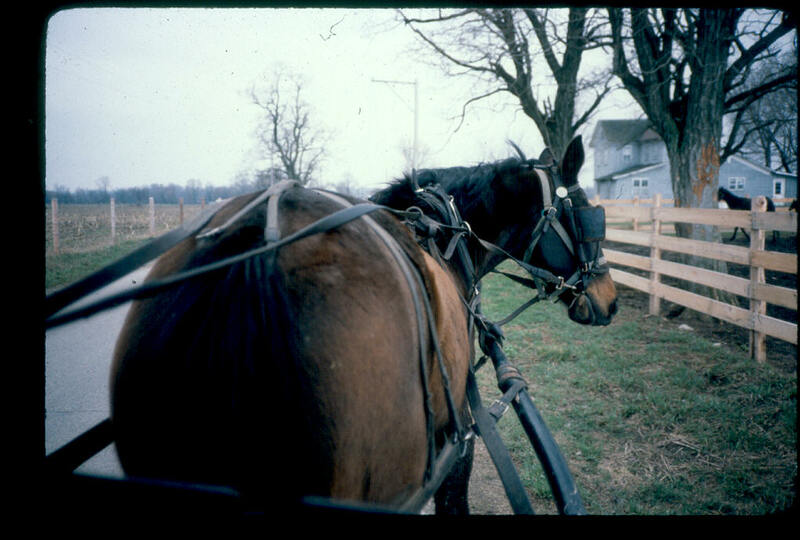 In fact, when my friend Ida let me take over the buggy reins (above), the horse knew a total amateur was at the helm. Joe (the horse) turned around, looked me in the eye, and then marched off the side of the road! For more information and registration information, click here.